Upcoming Danish war movie about events from 9th April 1940, heroic resistance of Army of Denmark against German invaders. In theory whole campaign lasted 6 hours. 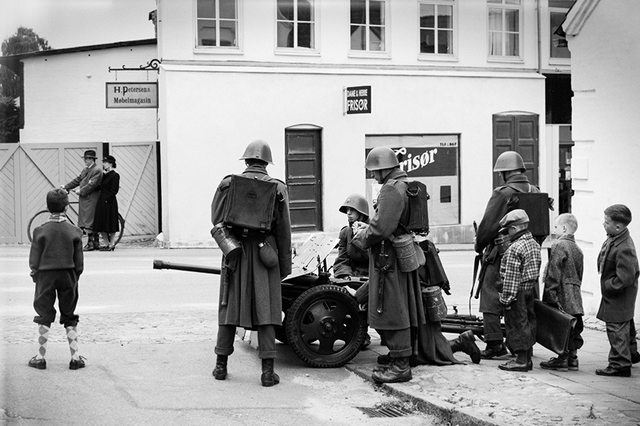 In this time small Danish forces demonstrated highest standards of courage and bravery. Their losses are 16 dead and 20 wounded. 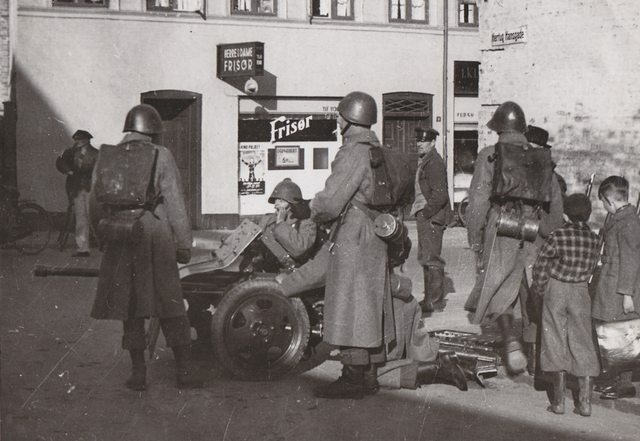 German losses are 12 armoured cars and 4 tanks damaged or destroyed, infantry casualties were never relased, according to one source Wehrmacht lost 203 men. Last edited by morticore; 02-04-2015, 05:59 AM. Dem helmets tho. I didn't think a helmet could make you look like a milk maid. Cool story though, why not - I would be interested in watching it if there's a subtitled version released. That looks really interesting, I'm hoping a subtitled version comes out. I think they still need to make a movie about Germany. Like, not to make them look bad, but to show how German troops really acted and how they weren't necessarily really bad people and how they were indoctrinated and whatnot. But they'd have to make it reaaaal subtle like. Like, subtle enough that all the droolies wouldn't even get it. So in otherwords, impossible by the laws of physics; at least for 'Merica. Everybody else, the ball's in your court. everyone had their own nazi party back then.